We have been buying and selling rare books and manuscripts since 1847. Our founder, Bernard Quaritch, was born in 1819 at Worbis, a small town near Göttingen in Germany. After working for booksellers in Nordhausen and Berlin, he set off for London in 1842, aged 23. Quaritch knew no one in the city, but was armed with a letter of introduction to Henry Bohn, then London’s leading book dealer. Impressed by Quaritch’s persistence, Bohn took the young man on. 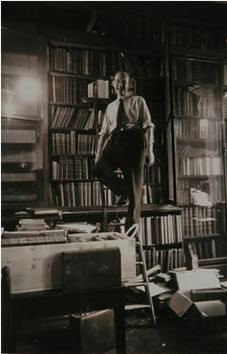 Bernard Quaritch later recalled saying to his employer “Mr Bohn, you are the first bookseller in England, I mean to become the first bookseller in Europe’. Bohn’s answer is not recorded, but Mrs Bohn, already impressed by Quaritch’s diligence, replied “I believe you will’. She was to be proved right. With modest capital, Quaritch set up on his own in October 1847. The same month he issued a catalogue, the first of a series that now numbers over fourteen hundred. Bernard Quaritch had soon assembled an impressive clientele: among his customers were Prince Louis Lucien Bonaparte (Napoleon’s nephew), the Prime Ministers and political opponents William Ewart Gladstone and Benjamin Disraeli and – above all – the Earl of Crawford and Balcarres, owner of the Bibliotheca Lindesiana. The designer and author William Morris was another important client. Edward FitzGerald, who frequented the shop from the first, was to become an intimate friend and it was Quaritch who first published FitzGerald’s translation of The Rubáiyát of Omar Khayyám in 1859. 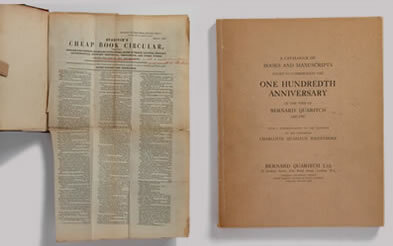 (left) Bernard Quaritch’s first catalogue, October 1847. (right) 100th anniversary catalogue, 1947. It offered 229 items, including a 1485 Aesop to a c.1590 manuscript of Sir Philip Sidney’s ‘Astrophel and Stella’ and Edward FitzGerald’s The Rubáiyát of Omar Khayyám. As energetic as he was dedicated, Quaritch was to be seen at every major sale of the late nineteenth century. At the Beckford sales his purchases accounted for more than half the totals raised. At the Syston Park sale in 1884 he bought a Gutenberg 42-line Bible for £3900 (at that time the highest price ever paid for a printed book) before then breaking his own record in the same sale by paying £4950 for the 1459 Mainz Psalter. Quaritch’s catalogues expanded with his business. By 1880 the catalogue had 2166 pages containing descriptions of 28,000 items. His efforts culminated in the seventeen volumes of the General Catalogue (1887-97), which the bibliographer Seymour De Ricci has described as “the greatest bibliographical monument ever produced around the stock of a second-hand bookseller”. E. M. Dring (1906-1990) joined Quaritch in 1925 and was a senior director from 1956 until his death. 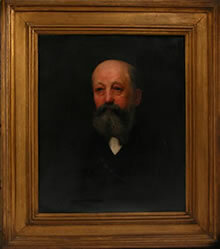 His father, E. H. Dring, joined the firm in 1877 and was managing director from 1917, when it became a private limited company, until his death in 1928. In fifty years Bernard Quaritch had built up the most extensive enterprise in antiquarian books in the world. His interests within the field were wide: natural history, fine arts, periodicals, oriental learning, travels and archaeology came within his span; but he was known above all as a dealer in incunabula, fine manuscripts, Bibles, liturgies, early English literature, Shakespeareana, cartography, Americana, and historic bindings. On his death in 1899 The Times wrote “It would scarcely be rash to say that Quaritch was the greatest bookseller who ever lived. His ideals were so high, his eye so keen, his transactions were so colossal, his courage so dauntless, that he stands out among men who have dealt in old literature as a Napoleon or a Wellington stands out among generals”. F. S. Ferguson (1878-1967) joined Bernard Quaritch in 1897 and enjoyed a successful career, not only as a bookseller but also as one of the foremost bibliographers of his generation. His outstanding contribution to scholarship was his work on “STC’, the Short-title catalogue of books printed in England 1475 to 1640. The business was continued by Quaritch’s son Bernard Alfred until his early death, aged only 42, in 1913, when it passed to his two sisters, with E. H. Dring as the manager. In 1917 it was converted into a private limited company, with Mrs C. Quaritch Wrentmore, the founder’s eldest daughter, and E. H. Wales, husband of his younger daughter, as directors. In 1928 E. H. Dring, the company’s first managing director, was succeeded by F. S. Ferguson, a bibliographical scholar of worldwide repute, who had joined the firm in 1897 and was to be the last person who could remember working for the founder himself. 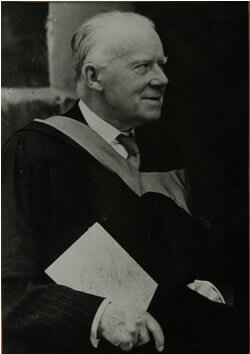 E. M. Dring, the son of E. H. Dring, became managing director in 1960 and remained a senior director until his death in 1990: between them the Drings had worked for Quaritch for some 113 years. Quaritch’s descendants continued to serve on the board, notably Dr H. G. Quaritch Wales, the founder’s grandson and a distinguished orientalist, who was chairman from 1950 until 1971, when the family finally decided to relinquish ownership of the company. From then until 2004 it continued under the chairmanship of Milo Cripps, Lord Parmoor. The company is now owned by book collector and investor John Koh. The company’s centenary was celebrated in 1947 at 11 Grafton Street, and its 150th anniversary in 1997 (by now at Golden Square, our premises until September 2009) was marked by a special issue of The Book Collector with articles about the history of the firm. Quaritch was one of the founding members of the Antiquarian Booksellers’ Association, which was founded in 1906 and is the oldest professional body of its kind in the world.